Although I dine here almost weekly I rarely venture from two regular menu items. 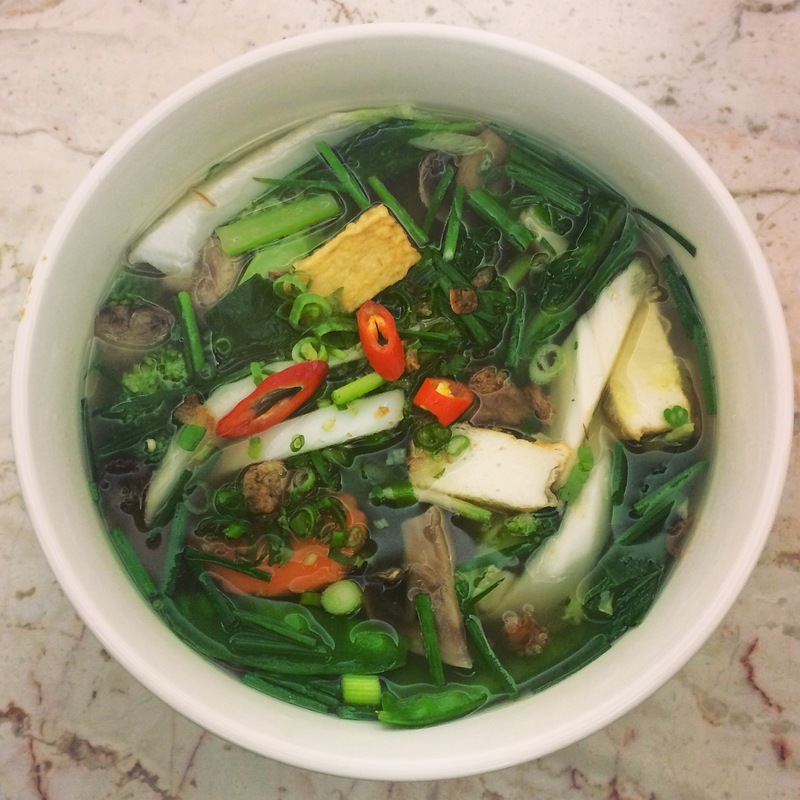 In winter I have the Chicken or Tofu Pho (Noodle Soup) $16.50 which comes with extra chilli, beans and vietnamese herbs. 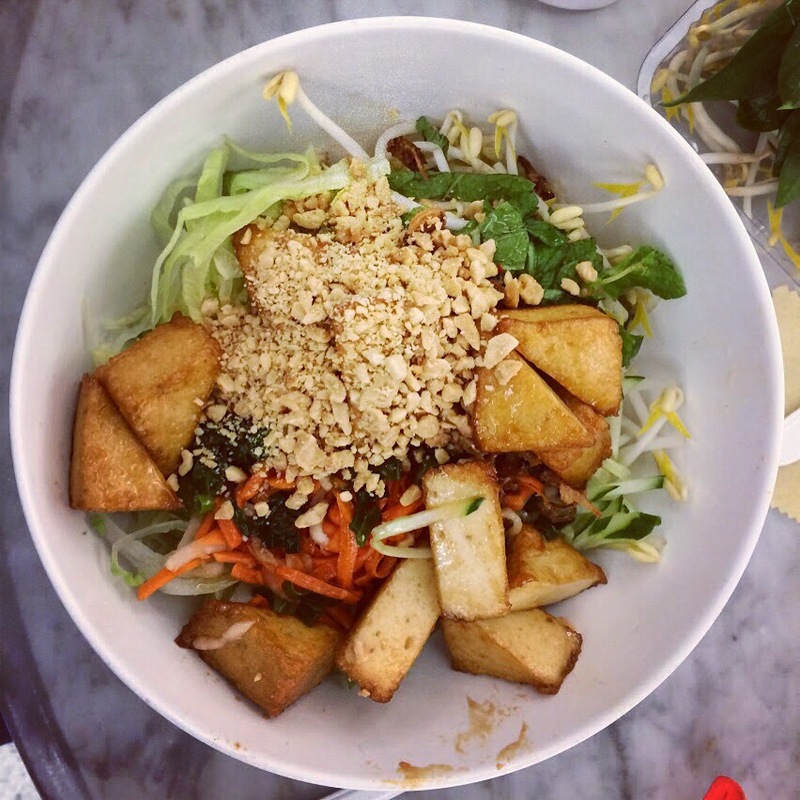 Whereas, in summer I swap between the Chicken Viet Salad and Tofu Viet Salads $16.50. On the new menu though something that has caught my eye is the Salmon but I am yet to try it. A large majority of the options on the menu are gluten free and all items are made fresh. As part of their recent expansion Phuc Deli have increased their drinks menu to include fresh juices and frappes of which I am yet to try! Although I have tried their “Young Coconut Juice” $5.50 and it was delicious – next time I get it I will be sure to take a picture. The new upgrade has also led to a liquor license with beers on tap and a large variety of wines. Many find it odd to hear that Phuc Deli is located in the middle of the Indooroopilly Shopping Centre food court. The new upgrade includes new comfortable seating including booth seats, liquor licensing and a new refreshed look. The staff our always welcoming, cheerful and happy to cater for your needs. The Verdict: Yes I am biased but I cannot fault my local go to restaurant. They are great for take away’s or for a hearty meal. Serving fresh, healthy meals and being located less than a five minute walk from home I simply cannot fault Phuc Deli 10/10. Previous Post The P Word!